It's important to balance your quadcopter drone before flying. 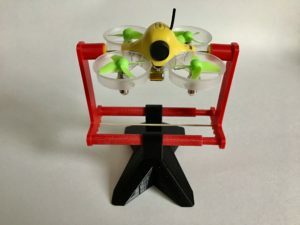 If it's not properly balanced, it will not reach its best performance as the motors will be running partially just to overcome the imbalance and keep the quadcopter level. 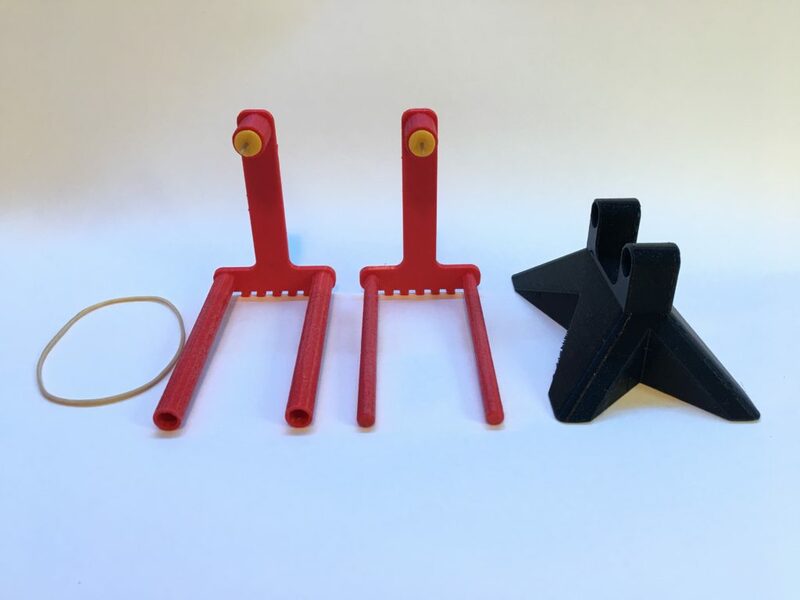 3D print this balancing tool and get the most out of your hobby. You may have to clean and possibly sand any burr off the sliders so they smoothly side. Insert a push-pin into each slider and secure with small amount of glue. The rubber band should be snug but not so firm as to push the pins deeply into the plastic of the quadcopter. 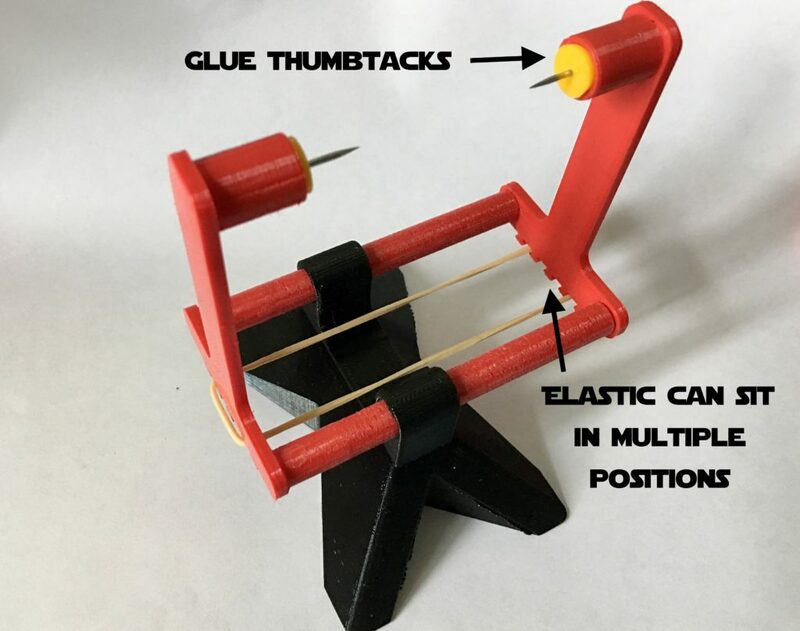 Since you may not have the same elastic bands available, there are several possible positions for the elastic to sit and adjust tension.